Good morning! 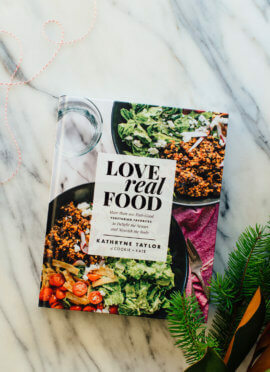 I haven’t said this enough, but thank you, thank you, thank you to everyone who has pre-ordered Love Real Food. You’re setting it up for successful rankings and I really appreciate your faith in my cookbook. I worked so hard on every aspect of the book and I’m just dying for you to get your hands on it. As a thank you, I’ve compiled a free digital “Companion Guide” to the book. It’s a nine-page, print-friendly PDF (see below). It includes the cheat sheet from the back of the book, in case you would rather print it off than cut out the pages. 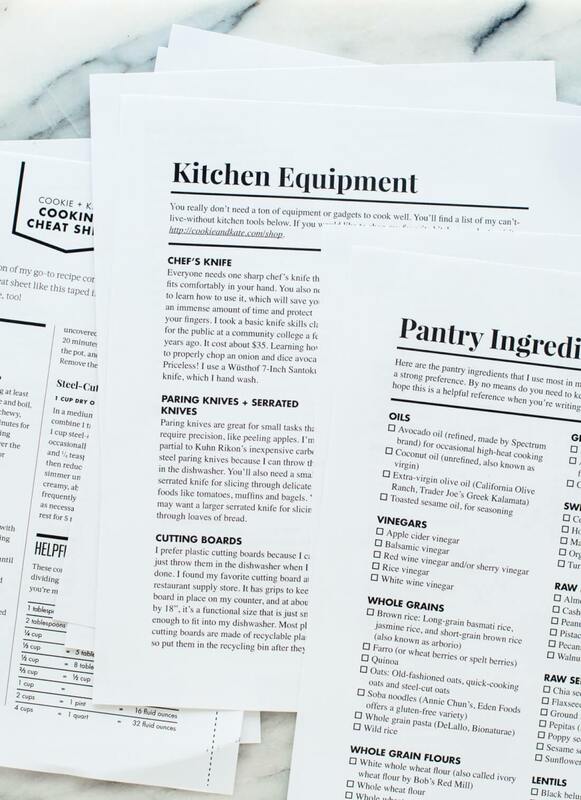 You’ll also get the full kitchen equipment rundown that we had to cut from the book, and a handy grocery list with checkboxes. The Companion Guide is exclusive content for people who pre-order—if you haven’t yet, you can pre-order on Amazon, Barnes & Noble, IndieBound, BAM!, Indigo, Anthropologie or iBooks. Once you’ve pre-ordered, get your Companion Guide here. Enough about that! I’m sharing my recipe development process with you today. 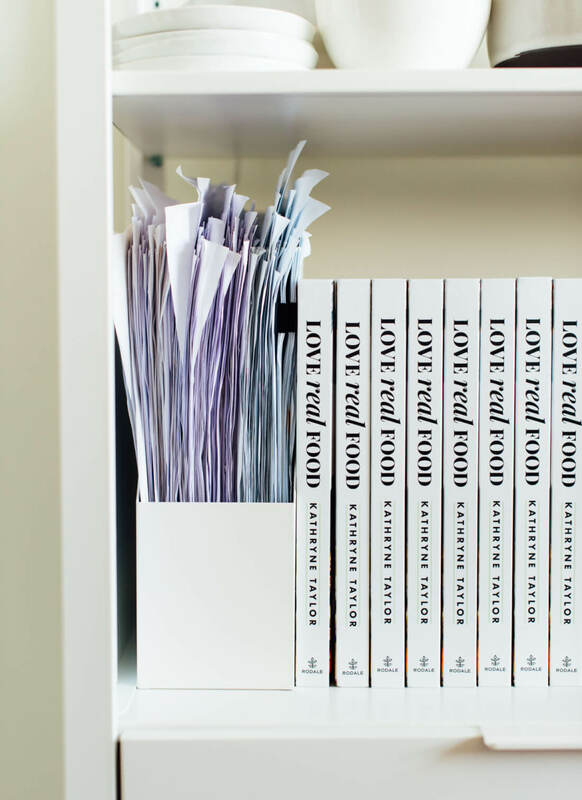 If you’re a cookbook collector, aspiring cookbook author or process nerd (hey friend), this post is for you. I stole the idea from Adrianna and Ashlae, so check out their posts for more perspective on the subject. Are you ready? I put so much thought into the recipe list for Love Real Food. In the proposal, I included a tentative recipe list of over 100 recipes. Emphasis on tentative—I hadn’t actually tried them yet, but they seemed like delicious ideas that would work well together. I thought about what kinds of recipes belonged in a fresh, wholesome vegetarian cookbook, and how to make the most awesome version of each. I wondered how to present the more creative recipe concepts so that they seem both enticing and approachable. I pondered how to incorporate a few favorites from the blog while keeping the rest of the cookbook’s recipes distinct from my existing recipes. I also thought about how the recipes would fit together overall. 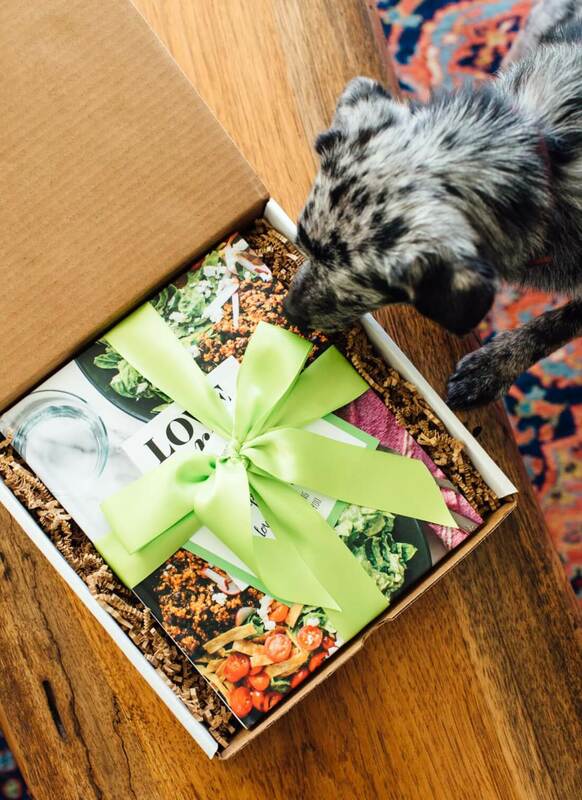 I wanted the book to be full of “feel-good” favorite recipes and I wanted it to become your go-to cookbook. I purposefully chose recipes that would be more all-season than seasonal, and I worked with ingredients that are generally available and easy to find. While this blog is always evolving with my cooking skills, taste buds, sources of inspiration (like my recent trip to Morocco) and the seasons, a cookbook is inevitably a more static representation of a specific time period. I’m a perfectionist and the permanence of it scared me. It still does, to be honest. I gave this book my absolute best effort and I find peace in that. Once I signed an official cookbook deal, I dove right into recipe development. No time to waste! In the research phase, I opened up approximately 1 million browser tabs and surrounded myself with cookbooks. I often pulled pieces from my existing recipes to use as starting points and found guidance on complementary flavors in The Flavor Bible. For more standard concepts, like lasagna, I skimmed through lots of recipes for common ingredients and ratios, and interesting twists on ingredients or method. I read through recipe ratings to look for common pitfalls. I flipped open my go-to reference books by America’s Test Kitchen, King Arthur Flour, and Deborah Madison, and read through their introductions for clues. Then I took Cookie for a walk, or went to yoga, and got some sleep, and let my subconscious sort through the details. Eventually, I sat down and crafted a first draft for each recipe. The first drafts were always super rough, with missing amounts and questions in all caps so we wouldn’t forget to make notes on them along the way. If you have any romantic notions of cookbook making, I’m going to burst your bubble here. Recipe development is messy and difficult. I struggled with this phase because, while I love food, I don’t love to develop recipes at a rate that far surpasses my own appetite. My taste buds get tired and I don’t like to feel over-stuffed, and often the recipes on the agenda aren’t the meals that I’m in the mood to eat that day. Nevertheless, this book was a big dream of mine, and I can’t complain about having a surplus of food. When I found myself vastly over-thinking the recipes, I hired a local assistant (Mara!) to come recipe test with me. She offered invaluable feedback and a much-needed second opinion, and talked through the options with me. Mara is pure sunshine and I wouldn’t have made it through the book without her. Mara was in nursing school at the time and came over on Fridays to help recipe test. I prepared and updated recipe drafts before she came over, and she usually stopped at the grocery store for ingredients on the way over. We often worked through ten recipes in one day, which is way more than I could possibly accomplish on my own. At the end of the day, I sent her home with lots of leftovers to take home to her husband. The recipe list changed substantially throughout this process, because a lot of my “brilliant” recipe ideas weren’t so great in reality. The burst cherry tomato pesto sandwich turned into crostini, the mango coconut pie was tasty but too much work, and the peanut broccoli slaw just wasn’t awesome enough. I kept all of my drafts in an app called Evernote (my brain would implode without Evernote, but that’s a whole other post). Each recipe got its own note, and I pasted each revised draft below the last, with notes on outcome and questions for future tests. I have notes on 162 recipes, and just over 100 made the cut. 4) Write headnotes and finalize details. You might think that writing one short paragraph about a recipe would be easy, but it isn’t. I wanted each headnote to be some combination of interesting, informative, and fun to read. I parked myself at my desk for hours as I recalled childhood memories and wrote about Cookie’s obsession with carrots and kale. The details were tricky business, too. Have you ever tried to use words to describe how to roll enchiladas or layer lasagna? After years of responding to your recipe questions on the blog, sometimes I feel like I have voices in my head. :) I tried my best to provide every detail you might need—like, where to find spring roll wrappers and what to substitute for peanut butter if you are allergic. I wanted to feel 100 percent confident in the recipes before they hit the printer, so recipe testing was super important. We had at least three recipe testers for each recipe, with Mara always being the first. We tested every special diet variation, so our 100 recipes became quite a bit more. Then we sent each recipe to two to four recipe tester volunteers. Timing: How long did it take you to prep for this recipe? Estimates are fine. Intro: Were the recipe name and headnote enticing? (If more than one recipe name was listed, which was your favorite?) Could you tell from the name and headnote what to expect? Suggestions welcome. Ingredients: Were the ingredients clear and easy for you to find? Were they listed in a logical manner? Instructions: Were the instructions clear and easy to follow? Did you find any typos, and/or do you have suggestions for improvement? Changes: Did you do anything differently than stated? If you chose one of the variations presented in the recipe, which one and how did it turn out? Yield: Did the recipe yield about as many servings as stated? Were the portions about the right size? Outcome: Did you like it? Would you make this recipe again? Comments on taste, texture, presentation, and/or suggestions on how this recipe could be improved are most welcome. If your recipe concluded with specific questions for the tester (this is rare), please answer them here. Mara also fielded questions on the recipes and helped me stay organized. I wanted to think the recipes were finished when we send them off, but their feedback was so helpful and made the recipes much better. Recipe testing was a big lesson on the subjectivity of flavors and recipes. Sometimes one recipe tester would gush about a recipe, and another one would tell me it was just ok. Sometimes I received suggestions that I tried and disagreed with. This was all painful because I wanted each recipe to be perfect, which is impossible! Ultimately, I had to make the final call. Once all of the recipes were in order, I sent off the document to my editor, Dervla, for the first round of edits. She offered more global suggestions, which were scary to read at first, but she’s incredibly nice and her feedback was entirely constructive. Due to space constraints, we had to cut some of the introduction (including the equipment rundown that you can get in the pre-order bonus), significantly shorten the ingredients information (in hindsight, some of it was overkill) and we cut a few recipes (which I’ll be sharing on the blog soon). The second round of edits with the copy editor, Kate, were tough. 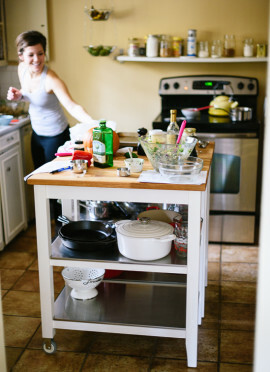 She tore apart the recipes and found every little inconsistency and issue. I re-tested recipes that were missing a timing detail or had a question on yield. Sometimes I disagreed with her changes or suggestions and argued my case. Going through this process was tough, but I learned so much along the way. I owe editor Kate a big thank you for making me a better recipe writer—thank you, Kate! Kate and I went back and forth again, and then the book survived a couple more editing rounds. Rodale’s team helped make it the best it could possibly be. Once it was finally, officially finished, they sent the files to the printer. Three months later, I got a copy in the mail with a big green bow on it. I can’t wait for you to see it! For more information about Love Real Food, click here. If you have pre-ordered, get your Companion Guide here. 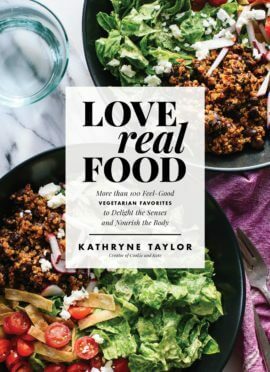 Love Real Food’s Cover Reveal & 10 Recipes to Celebrate! As an avid fan of the blog for years, I was so excited to pre-order your book today. Assuming it’s as awesome as the blog (and I’m sure it is), I’m planning to order a dozen more and hand them out as gifts. I’m so excited to be able to support you, given how much value I’ve gotten out of the blog all these years! I make at least one of your recipes literally every week (my favorites include the spinach artichoke lasagna, portobello poblano fajitas, and sweet potato, red pepper, feta frittata.) Thanks for continuing to produce fabulous hearty healthy vegetarian recipes that my English sausage-loving husband actually likes. Lauren, thank you! That is fantastic to hear. Thank you for your support. I hope you LOVE the cookbook! I gave it my all! I love reading this incredibly thorough breakdown of the process! I’ve always wondered exactly how cookbooks get made. Thanks for giving us a peek. I’m counting the days till the cookbook! YAY! Thanks, Hilary! Glad you enjoyed it. It was a beast of a process. Hope you love the finished product! I’ve had mine pre-ordered since March and I’m just unreasonably excited to get it. And I say that knowing being very super excited about a cookbook is still a reasonable level of excitement. I’m just more excited than that. I 100% appreciate and support your level of excitement! Hope it exceeds your expectations, eep! Can’t wait to have all your recipes together in a beautiful book!!! Thank you, Natalia! Happy early birthday! Thanks, Sara! Hope you love it! I pre-ordered back in January so that Companion Guide just makes me all the more excited for your book! :D I hope Amazon gets it to me sooner than the expected arrival date…. I also loved reading over your cookbook development process! I can’t imagine even creating 162 recipe ideas! That is wild! My imagination also underestimated the amount of time it takes cookbook authors to work through each recipe multiple times. It sounds like a brilliant idea to have Mara help with recipe testing and it lightened some of the load for you. Also, why didn’t I hear about the recipe test panel? Hello, Kate, I would have gladly participated! :) Nonetheless, thanks so much for sharing this unique and insightful information. P.S. Mango Coconut Pie sounds delicious! Sorry to hear it was cut from the cookbook but I do hope you share it sometime. Hi Melanie, thank you so much for pre-ordering! I hope it becomes one of your go-to cookbooks. :) It was really a beast to produce. I’ll try to find a way to share the mango coconut pie! I’ll be sharing the chocolate pie we cut next week. SOOO excited… just pre-ordered my copy! I have shared your blog with everyone I meet (no, literally) and use it on a weekly basis for menu development and ideas. Can’t wait to see all the hard that has paid off in your new cookbook. (hugs) to you and Cookie. So exciting! I enjoyed reading about this process. After testing recipes for my blog, I can only IMAGINE what it must be like to test tons of recipes for a cookbook. You put so much work into this and I can’t wait to see the real thing. Congrats!! Thank you so much, Sara! I felt bad that I couldn’t be more available and responsive during the testing process. Hopefully it didn’t seem too impersonal!! I so appreciated your help. Thank you! 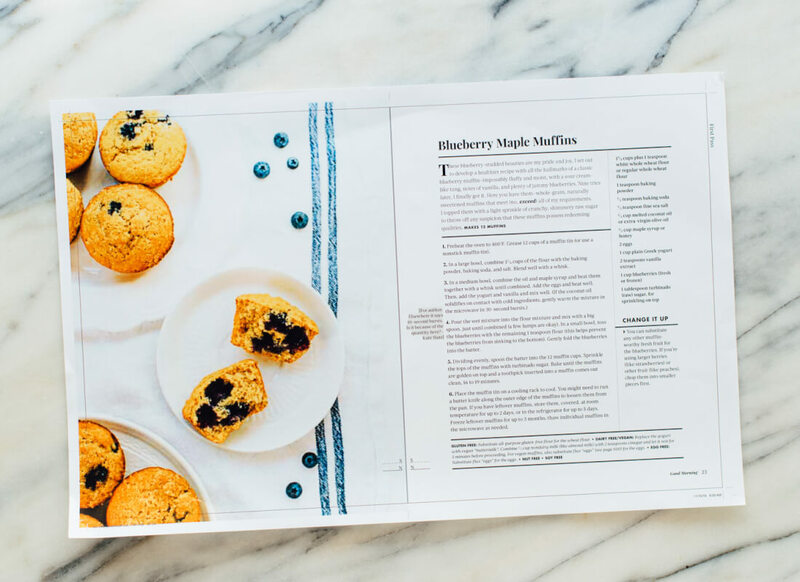 This is a really interesting look at the behind-the-scenes process of creating a cookbook. Did you shoot all or most of the photos as well? And did you have any say in the layout/design of the interior? Congratulations! Hi Amanda! Yes, I shot most of the photos as well, and there’s a photo of every recipe, so that was a lot of work! I hired a local photographer to take some lifestyle shots of Cookie and me. The designer was amazing. I created a secret Pinterest board of inspiration and she totally nailed it. I’m going to write another post or two about those processes. Hope you love the book! I LOVE cookbooks, and have quite the collection. But, I am infamous for buying cookbooks and rarely using them. I have used your site so much and you are so friggen amazing, every single recipe I have tried has been awesome and so easy/practical. I cannot wait for your book, (preordered ages ago) mostly because I know it will be used again and again!! Thank you so much for all the hard work you do. I am not fully vegetarian, but my vegetarian meals have doubled since finding you and I probably only eat meat 2-3x/week now! This is all great news, Hilary! I’m so glad my blog has helped you so much, and I can’t wait for you to see the book! YOU DID IT!! Congratulations on the cookbook!! Gosh it seems like a crazy amount of work but SO rewarding I bet! Absolutely cannot wait to grab a copy! Thanks, Kasey! It was an insane amount of work, but the positive reception and great reviews thus far have made it all worth it. I’m so excited for you to see it! Thanks for another great blog. There is so much to learn about all aspects of this business and you are a great teacher who share so much. Again much success on the new book. I loved reading your cookbook guide – though, while it obviously worked for you, the recipe list is the one part of writing a book I would never, ever do again. It was part of what stressed me out so much writing my first book. I felt it left little space for creativity, and from now I’m organically working on a list, and then I might do a smaller list to fill in gaps to balance the book in future. Yes, everyone’s process is super different. I’m glad you found one that works for you, Rachel! Kate, I would have gone crazy doing this! Thank you for such an interesting breakdown of the entire book writing process. I’m in awe of everything you’ve done, not just the cookbook, because your blog got me interested in healthier ways to cook. I’m a vegetarian so it’s been such a treat being able to try new recipes (other than Indian food, which gets dull if you happen to be an Indian :P)! My Mom made your apple muffins just yesterday and sent me a link to it, and I told her I’ve been following you for years :) Thank you so very much and I think you deserve a really long vacation ! Jodi, thank you! I really appreciate your kind words and hope you 100% love the book! Congratulations, Kate!!! I couldn’t be more excited for your book. I pre-ordered in December and I thought May would never come!! Thank you for all your time and effort in creating what I believe will be my ALL TIME FAVORITE cookbook! Thanks, pal! I know you know what I mean. Hope you love the finished product. I’m so nervous for everyone to see it! awwww, as always you’re a class act, Kathryne! Loved every minute of working with you and CANNOT WAIT to see how much your readers love your book. SO SO SO proud of this one. Thank you for believing in the book all this time, Dervla! I’m so excited/nervous for everyone to see it! Total process nerd here! Thank you for sharing this and allowing me to geek out. It’s SO MUCH more work than I thought it would be! I’m slowly building my collection of vegetarian cookbooks and I’m excited to add yours to my bookshelf. Thank you, Erin! I hope you love the book. I think it’s easy to dismiss cookbooks as “fluff” books—I’ve thought so myself—but man, it was hard to make this book. Congrats!!! It’s my dream to write a cookbook but I know it takes over your life, can’t wait to see the final product! Thank you, Kelli! I hope you get to write your cookbook soon! This is such a big deal! I am thrilled for you. I can only imagine what to would be like to be faced with the incredible blessing and daunting task of writing a cook book. It was generous of you to walk us through your process. A big green bow! how sweet! I can’t wait to read it and cook from it. Hanne, thank you! I appreciate your kind words and hope you love the book. Thank you so much, Maria! I hope you love the book! Hooray!!! I can’t wait for you to get it, Kelley! Oh, I’m so happy it got to you, Rebecca! I hope you have fun with all the new material. Hello from KC! I just pre-ordered my book and printed out your bonus pages. I’m incredibly excited to have your cook book in my hands soon! 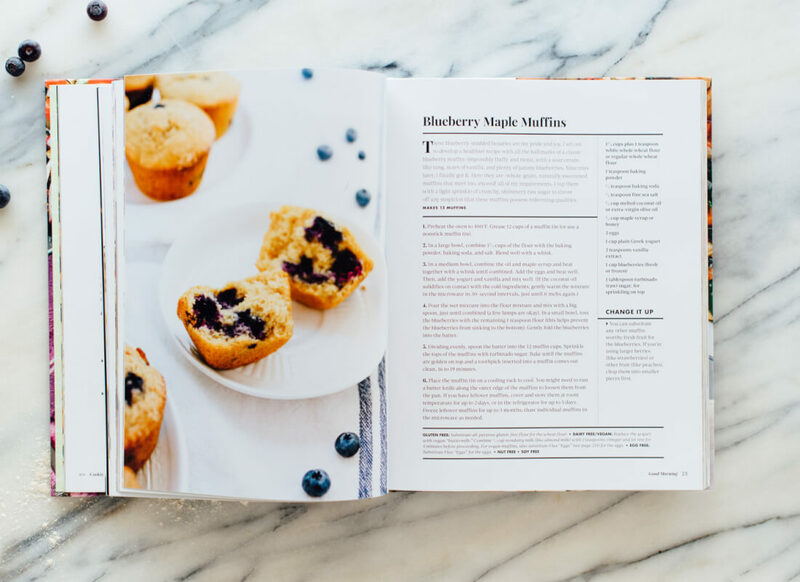 Ever since I’ve been reading your blog, I’ve been dreaming of having all of your blog recipes in a book. This is pretty sweet! Aaah! I’m so excited, too! I hope you love it, Lyuda, and that the bonus guide has been helpful! Thank you so much, Amanda! I hope it exceeds your expectations. :) Let me know how you like it! Pre-ordered from my favorite local shop! Can’t wait to see it, and to make a list of how many additional copies I need to give to all of my favorite people. So sweet of you, Anne! Thanks so much. Thank you for this blog post. It’s awesome I plan to share the link with my cookbook coaching clients, mastermind groups, and in my Fork, Pen, & Spoon newsletter. 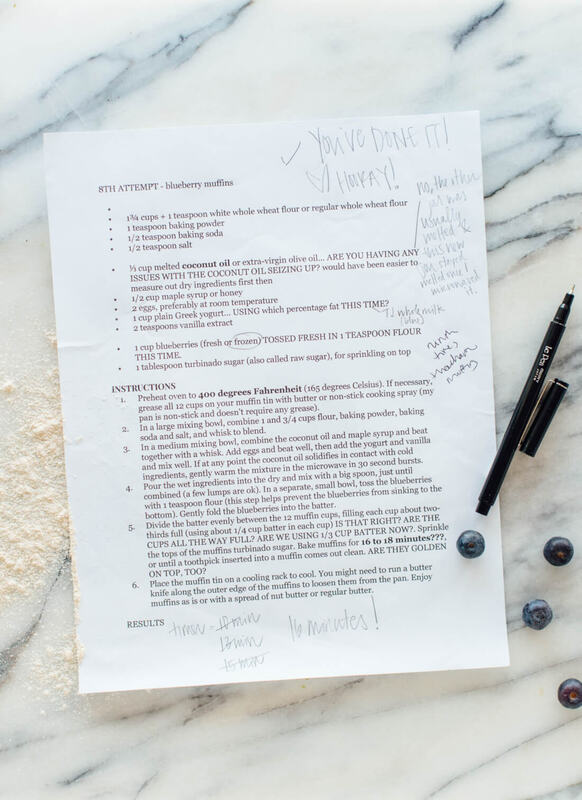 They’ll love to hear validation of the steps they need to take to write their own cookbook! You’re welcome, Maggie! Thanks for sharing it. Have just received the new book; looks good. However, in your “helpful” conversions,and while looking after US readers, you seem to have forgotten the rest of the world! Where are the metric conversions/measurements? Cups and spoons seem to be the norm in the US but, and with good reason, they are not in most other parts of the world. It’s very disappointing after looking forward to receiving the book to then find it so aimed mainly at the US market! I haven’t delved into the main body of the book yet but I’m sure I will enjoy trying out the recipes as much as I have done on your blog. I wish you luck and hope that one day US authors will give more consideration to the international aspect of (internet) marketing today. Hi Graham, I’m so sorry to hear that you’re disappointed by the measurements. Incorporating metric measurements isn’t as easy as it seems; it’s an extra layer of complexity, effort and length (some of the recipes’ ingredients lists already spill over to another page). And, it adds more room for human error. I hope to start offering metric measurements on the blog someday when technology makes it a little easier to do so. I think the German version of the book will include metric measurements, but I’m not sure when that will be released. In the meantime, measuring cups are inexpensive and seem to be available cheaply on Amazon in other countries. Hope that helps! I pre-ordered the cookbook and received it yesterday! I am so excited! I proudly will say I ordered a book early before it came out and got it as a late Mother’s Day gift. I’d love the cheat sheet stuff that came as a bonus if you don’t mind getting it to me. So are many of the recipes on this blog in the book before I double step my saving them efforts? Congrats on your book. I will say, my quick glance at the recipes looked more invovled than the simplicity of the ones on this site. Is that just an illusion? I haven’t had a chance to sit down with it yet as it’s been May Madness. Hi Lynne, thank you so much for ordering the book. About ten recipes from the blog are in the book. I tried to keep the book recipes simple, but like on the blog, some are more simple than others. They may simply look longer because of the formatting differences—the ingredients column in the book is skinny so that will make the list look longer than it is. There is a link to download the PDF in this post! I love the font you use in your book. What font is it exactly? Hi Angele, thank you! I’m not sure which font you’re referring to, but if it’s the fun, bold serif, it’s Playfair Display.